Focus Home Interactive has released another Pro Cycling Manager 2010 1.0.4.2 Patch which updates the game to newest version. Pro Cycling Manager/Tour De France v1.0.4.2 Patch improves gaps for hilly races, AI and some major bugs which were reported earlier. 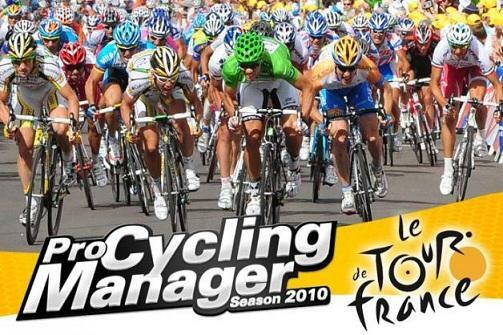 You can now download Pro Cycling Manager 2010 1.0.4.2 Patch enjoy challenging races in a realistic graphics on your PC. Improved gaps for hilly races (e.g. : ardennes classics). Fixed several bugs in sprints which helped the climbers or the non-sprinters winning sometimes mass-sprints ahead of real sprinters (flat stages). Sprinters AI amelioration when they choose the sprinter they’ll follow. Fixed a bug where the sprinters could “brake” with no reason before the finish line. Loss of time for a puncture or a fall is now a bit shorter. Hope you enjoy the new update of Pro Cycling Manager 2010 / Tour De France 2010, if you have any questions or problems while installing PCM v1.0.4.2 Patch, please post a comment!